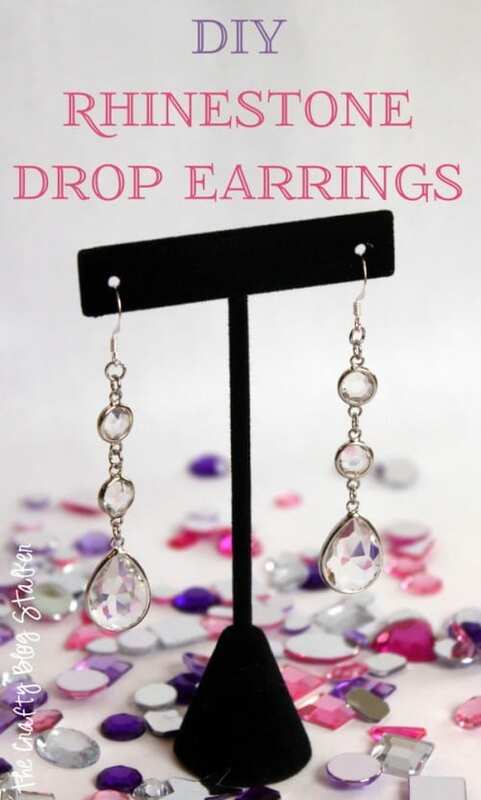 Create a beautiful pair of Rhinestone Drop Earrings. An easy craft tutorial idea for DIY Jewelry perfect for prom or the bridal party. Have you ever tried making your own jewelry? I know it may look daunting but it really is so easy and can be so much cheaper. 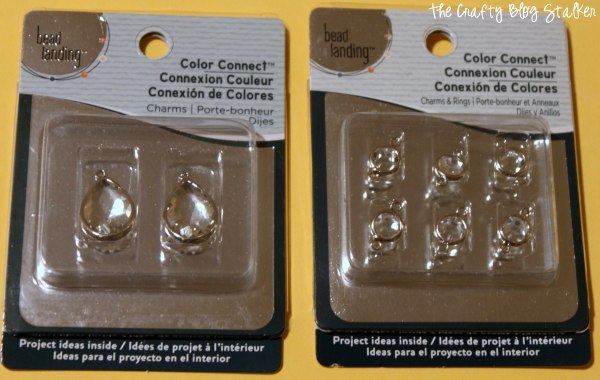 I found these two packages of rhinestone charms for $1.50 on clearance at my local craft store. That means this cute pair of Rhinestone Drop Earrings only cost me $3.00. If I were to see these at a store they would have been at least $20 and possibly even more! For starters let me show you the correct way to open a jump ring. It is very simple but this is something that I didn’t know for the longest time. When you open a jump ring you want to hold it with a pair of jewelry pliers in each hand, each holding the ring. I used to pull the jump ring straight apart to open, but that is not the correct way. 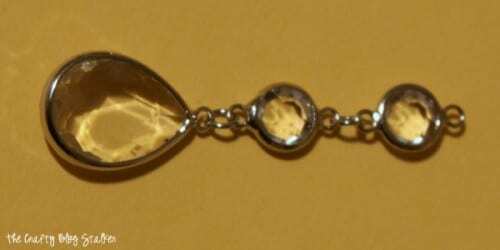 When you pull the jump ring straight open you are actually changing the shape of the ring and it will no longer be circular but more oval. What you want to do instead, is still hold a pair of jewelry pliers in each hand, holding the jump ring in the middle. This time use your wrists and turn one wrist forwards while rolling the other wrist back. That way your jump ring stays in a circle. You can see in the next picture how the ring was opened by twisting. To close the ring you do the same motion just in the opposite direction until the two ends come together. 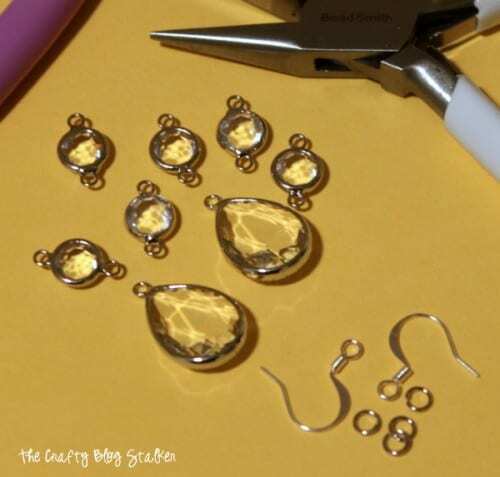 Now that you have the jump rings down these earrings are going to come together super quick! Join the two smaller rings together with a jump ring. 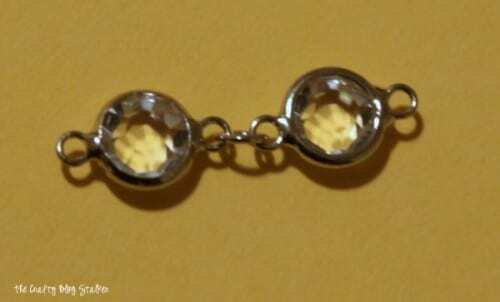 Attach the larger Rhinestone with another jump ring. For the top, you actually want to add two jump rings together and attach to the top charm. 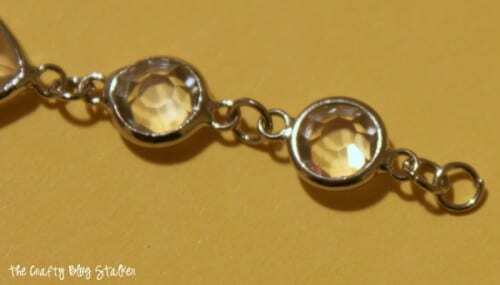 This will keep your earring dangling to the front and they won’t turn sideways. So cute, and will totally dress up any outfit. What DIY Jewelry have you made? Share and leave a comment below! 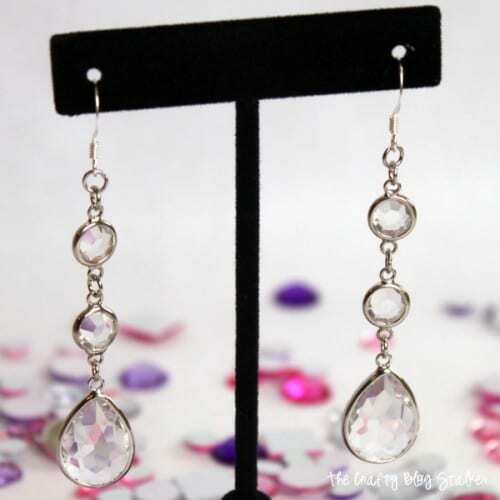 SAVE HOW TO MAKE RHINESTONE DROP EARRINGS TO YOUR FAVORITE DIY JEWELRY PINTEREST BOARD! These are stunning! They’re exactly want I wanted for my wedding but I couldn’t find the right style beads. I ended up buying something different but these reminded me of what I’d originally hoped to find. I love these!! I can’t wait to make a pair! Cute earrings! They are so pretty! These are beautiful. We would love to have you share this with our link party. It’s at Adorned From Above, and it runs from Tuesday night through Sunday night. It’s up now. Very nice earrings! Thanks for sharing how you made them too. I love these! I started making jewelry awhile ago and was totally surprised by how easy it actually is; I love how you explain everything here! So clear and your explanation about how to open the jump rings is great especially since that is surprisingly so important to make sure they don’t love their strength and keep their shape. I love your design and you’ve inspired me to check those clearance bins more often 🙂 Glad to have found your site so thanks so much for sharing! 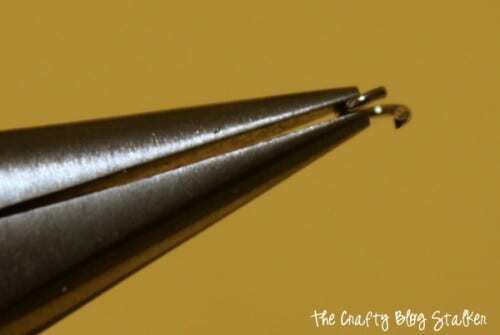 Great tip on using the pliers! What you did is lovely! I might make my rhinestone drop longer. I’m thinking of making one for a party I’m attending in a month. Wonderful earrings, very nice post!